Just as you care for your animals, the Arenus family is comprised of animal lovers who care deeply about the health and well-being of their animals, too. Meet the people who develop, produce and work with you daily to provide solid solutions to your animal care needs...Team Arenus! Abbie has been a part of the Arenus team since August 2017. 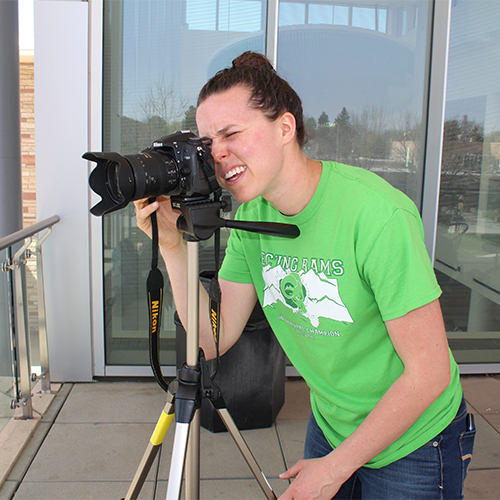 Originally from Roswell, New Mexico, she graduated from Colorado State University in May of 2017 with a degree in Journalism and Media Communication. She enjoys all aspects of the digital creation process and uses her free time creating other digital projects, hiking and playing basketball. She has no pets but loves the dogs in the Arenus office. Amanda joined the Arenus team in late 2014 as a Veterinary Solutions Specialist and has since transitioned to her current role in our Marketing department. A Texas native, Amanda got her degree from Colorado State University and spent time working here in Colorado, Kentucky, Texas and Louisiana before making Colorado her permanent home. An avid rider, she spends her time in the backcountry on her BLM mustang, Ranger. She has a large 4-legged family consisting of three dogs, a cat and three horses, all of whom use Arenus products! Growing up on the backs of reining, cutting and working cow horses in the mountains of Utah, it’s safe to say Brady’s life passion has been horses. While studying at Brigham Young University he worked closely with Biology and Animal Nutrition professors before graduating with a degree in Animal Science. This focus led to a keen interest in nutrition, specifically equine nutrition, and he traveled to Texas A&M University for his Masters in Animal Science, specializing in equine nutrition. He currently lives in Utah with his wife, two daughters, four horses, two rabbits and Basset Hound and closely supports our veterinary, retail dealer and ambassador clientele with product and nutritional expertise. After moving to Colorado at the age of 16, Dr. Altman first received his Bachelor’s in Animal Science followed by a Doctor of Veterinary Medicine from Colorado State University. After spending much of his life as a researcher and field veterinarian for horses in northern Colorado and seeing many horses plagued with digestive upset, he began working diligently to develop an equine digestive aid to meet his patient’s need and, as he says, “to reduce the number of severe digestive upset calls” he was receiving. The development was a great success and the beginning products within the Assure line launched shortly thereafter. The Assure System has grown by leaps and bounds and, with the help of a team of dedicated veterinarians, nutritionists and researchers, Arenus has grown to offer two, distinct brands. 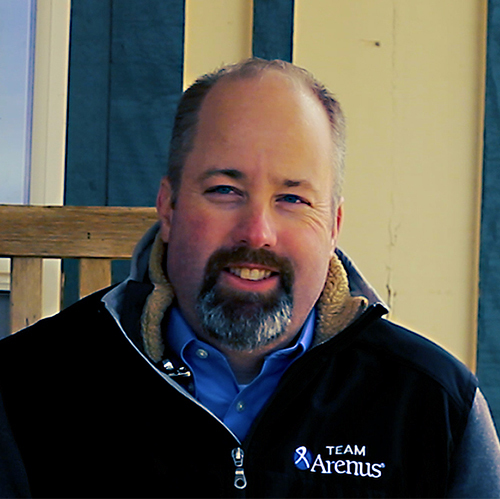 In 2013, Dr. Altman became the CEO of Arenus which relocated to Fort Collins, CO where he now resides with his family. When not travelling, Dr. Altman enjoys spending time with his family or in the saddle honing his roping skills (which he begrudgingly admits should probably not be referred to as a skill set of his at all). Originally from Oregon, Melissa is married to Arenus Ambassador and professional reining trainer, Travis Wigen, and began working for the Arenus team in 2012. As a Veterinary Solutions Specialist, she works closely with our existing veterinary clientele to find product solutions for their patients. 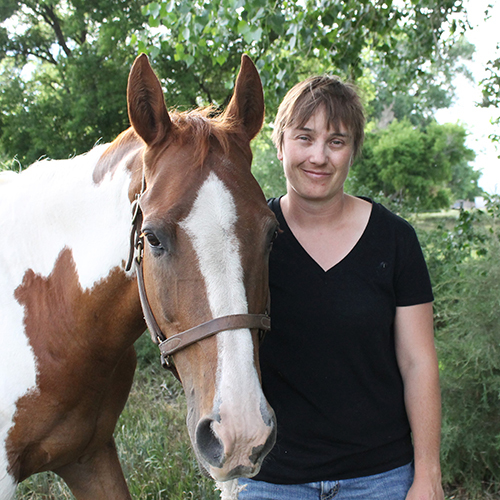 Melissa began showing horses at an early age and currently shows in reining alongside her husband and two daughters. When she’s not working with Arenus, she keeps things moving in her husband’s training business and acts as the breeding manager for their stud, Banjo Whiz. While growing up working on her family’s farm in Utah, Meranie found a love for animals at an early age. Her father purchased her first horse for her at age 6 and she’s been hooked ever since! She attended Southern Utah University and graduated with a degree in Elementary Education which she put to use as a teacher prior to joining Arenus. Meranie joined the Arenus team in early 2016 and works closely with our retail dealers by assisting, educating and troubleshooting. She currently works remotely from her Utah office where she lives with her husband, children and a variety of animals. This Colorado Eagles hockey fanatic was born and raised in Colorado. She spent her young life in 4H, riding any horse she could. With a veterinarian for a mother, her childhood was filled with all types of animals. Michaell started with Arenus in the spring of 2015 and currently helps to ensure things run smoothly on the production side. She actively competes with her quarter horse, Tika, in many events and spends her spare time teaching her pony to drive a cart. She and her husband currently have 4 horses, 3 dogs, 2 cats, 3 geckos, 2 frogs, 2 salamanders and a Sulcata Tortoise. Although a Colorado native, Roni spent much of her childhood in Utah and New Mexico where her family bred and showed English Setters and Whippets. After listening to her grandfather's stories throughout her childhood, she welcomed the first horse into her life just after high school. Since then, Roni has had the opportunity to work in competitive farms, breeding and training centers across the country. Currently, she resides in Colorado with her pinto gelding and dog, Ollie. She joined the Arenus team in 2017 where she interacts with customers and assists the marketing team. Spending much of his young life on the east coast before moving to Colorado, Zeke began his professional career with Mister Money pawn stores and acted as a manager and district manager within the organization for many years. In 2013, when Arenus relocated to Fort Collins, Zeke joined the team as Vice President of Operations. An avid motorsports enthusiast, Zeke enjoys all things BMW and working on his cars and motorcycles in his spare time. Growing up, he enjoyed riding both for pleasure and competitively and spending time around the many types of animals that graced his family’s farm. Today, he and his wife have a large animal family consisting of several fish tanks, 3 cats and 2 Great Danes who both take Steadfast Canine daily.